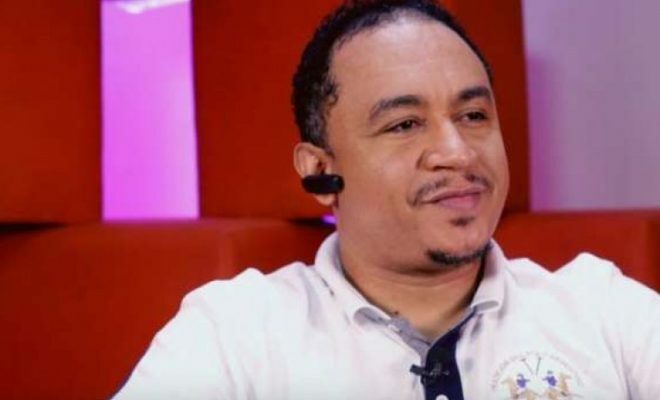 Daddy Freeze has taken to social media to call out Nigerian artistes who wear fake watches. 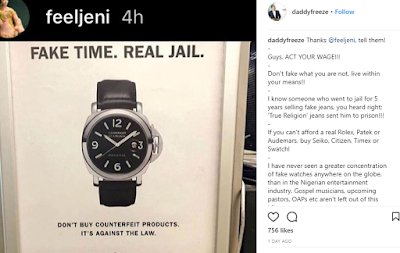 In an Instagram post, he claims upcoming pastors and gospel musicians are not exempted from the act of flaunting fake watches. He however gave a list of some notable people whom he claims wear the real deal. Read post below. Don’t fake what you are not, live within your means!! I know someone who went to jail for 5 years selling fake jeans, you heard right; ‘True Religion’ jeans sent him to prison!!! If you can’t afford a real Rolex, Patek or Audemars, buy Seiko, Citizen, Timex or Swatch! 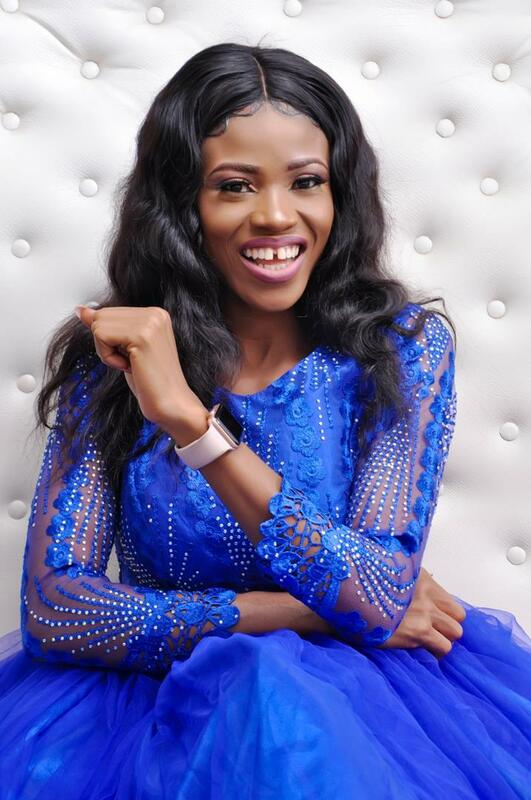 I have never seen a greater concentration of fake watches anywhere on the globe, than in the Nigerian entertainment industry. Gospel musicians, upcoming pastors, OAPs etc aren’t left out of this idiocy. Statements like “My Rolex is not Fake I bought it for N350k” only serve to showcase the ignorance of many entertainers. 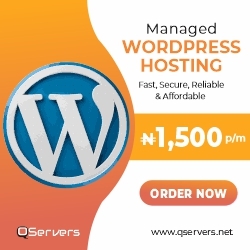 There is NO ROLEX, AUDEMARS, PATEK, RICHARD MILLE OR VACHERON for N350k! ITS FAKE AS HELL! The cheapest Rolex starts from about $5-6k do the math! Even second hand will still set u back circa $2k for a deadbeat and practically mutilated piece. 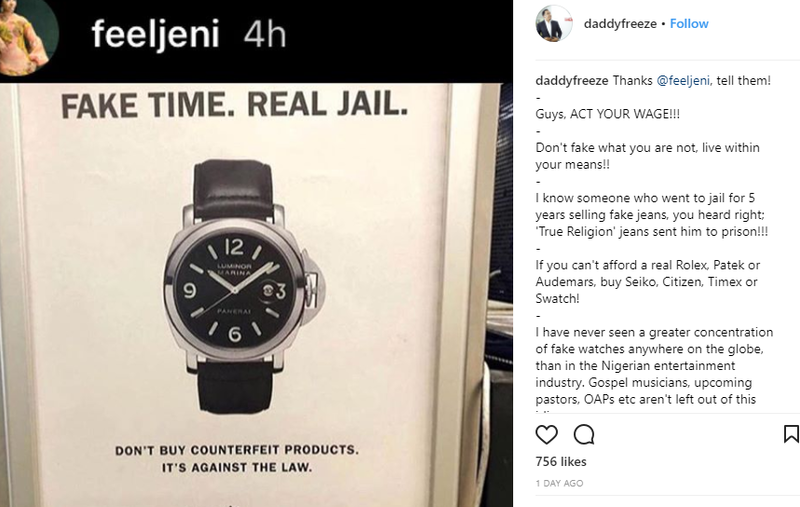 So a brand new luxury watch for N350k is fake o! Up to 90% of the watches in the industry are FAKES!! Now, it’s not just image fraud, when you try to act like you are larger than your true worth, it’s a proper crime that can earn you time behind bars! 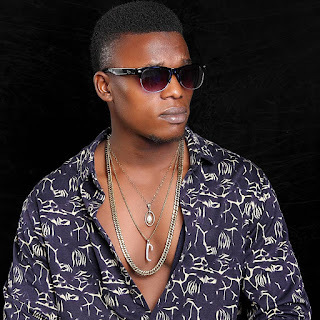 Of course a few legit guys wear original pieces and personally I have seen @davidoofficial, @chairmanhkn and their crew, @wizkidayo, @donJazzy, @shestolani, @cuppymusic, @iambangalee, @judeengees, @iamseyishay, @official2baba, @do2dtun, @omonioboli, @hushpuppi, @officiallindaikeji, @iam_emoney1 and a sprinkle of others rocking genuine watches and I celebrate them today. But a large number of others are sadly fake! If you want to buy @Rolex or @Cartier or Piaget buy from @pololimited and if you want @richardmilleofficial or @audemarspiguet buy from ?? ?